and beef jerky was one of the staples included in the survival kit. 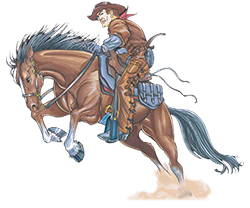 Pony Express Foods carries on the tradition of the Wild West and the Pony Express Rider. We are committed to delivering premium products and outstanding customer service and we hope that you will honor us by selecting our beef jerky and meat snacks. Only the finest ingredients go into our Meat Snacks.